This is a true discovery tour of the deep south. 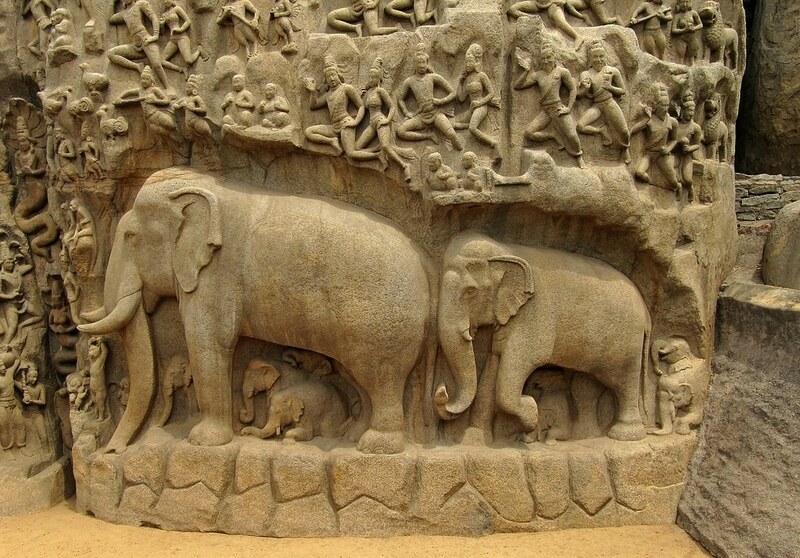 From the tropical green coasts of Kerala to the rich temple culture of Tamil Nadu. 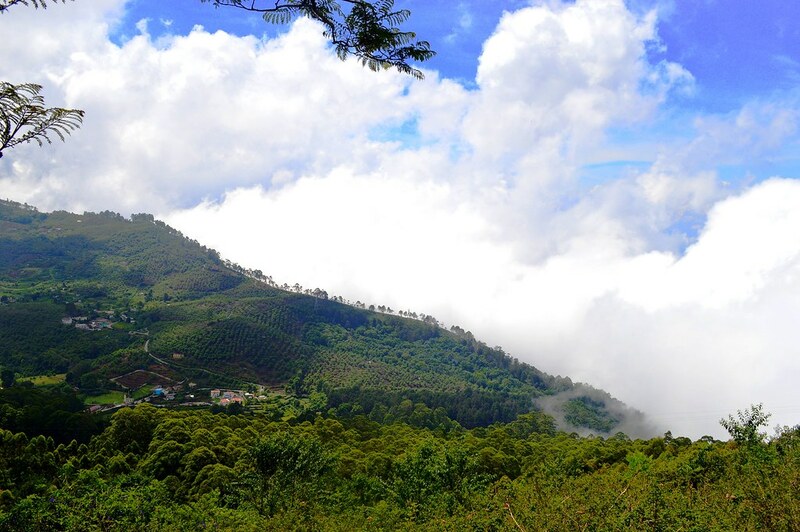 This is something of an epic journey as you cover the vast hinterlands of Kerala and Tamil Nadu as you cross the bottom of the Deccan peninsula. This is also a template for you as many customers ask for alterations so they can spend more or less time. We also change transport for many so that they can experience the trains of India on some overnight journeys. 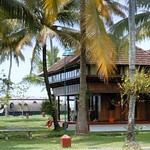 Step off from the plane at Trivandum Airport (or Cochin) and immediately smell the rich tropical air. After negotiating passport control which offers you your first chance to experience Indian bureaucracy at its most insistent and rubber-stamping best and collecting bags, we will meet you beyond customs and whisk you away to your first hotel. 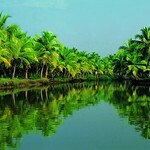 You can relax, take a deep breath and slurp down sweet coconut which is the Kerala answer to western soft drinks. In the morning: relax. Sleep in and wake to the sound of distant waves and the ever present sound of cawing crows. 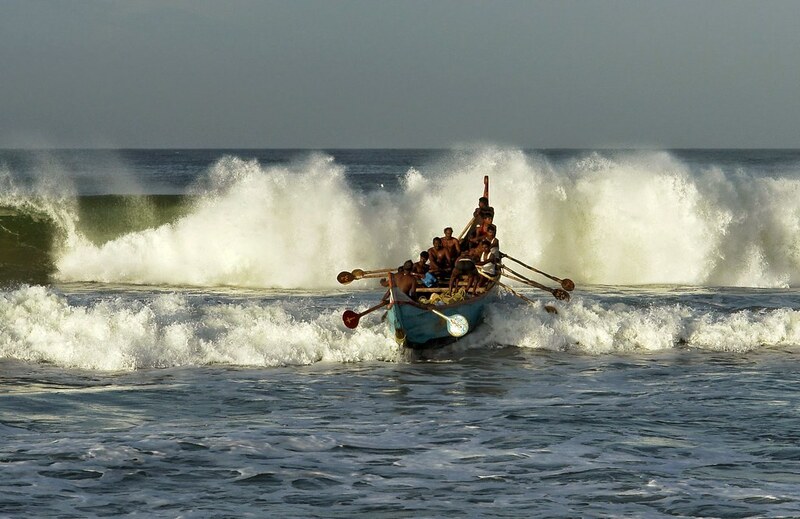 After breakfast, take a wander onto the beach and watch the nights fishermen returning or the local village hauling in the nets. In the afternoon join us for some sightseeing in Trivandrum with our local guide, in which you will visit Shree Padmanabha Temple, Napier Museum and Shree Chitra Art Gallery as well as take in local colour and sights. If necessary, stock up on white cotton garments for the tropical climate. You're on holiday and you want to relax: get started. 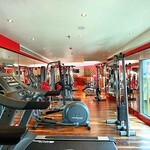 We will leave you for the whole day to simply kick back, shoes off and relax. 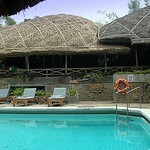 You could book in an ayurvedic massage which will certainly expunge any memories of airline seats and office chairs. 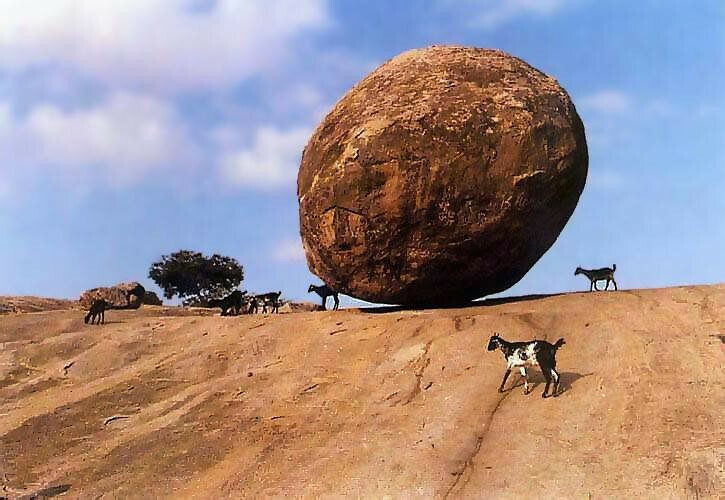 This is a day when you simply do your own thing! For the men: today you practice tying Kerala's answer to the Lunghi which is called the Mundu and is a super smart white cotton sarong that is worn in many styles depending on occassion! After breakfast we drive to the Kerala Backwaters at Alappuzha/Aleppey (160 kms / apporx 3 hrs) to board our Kerala houseboat. 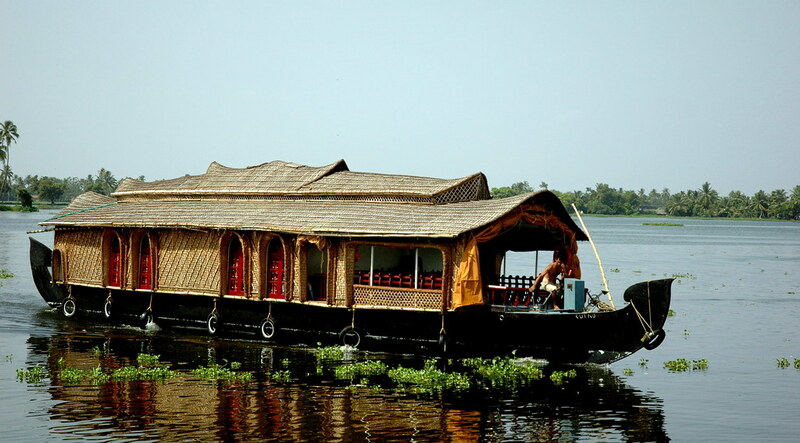 After a quick cruise to escape the melee at the jetty we enjoy a traditional style Kerala lunch served on board as will all other meals tea, coffee, snacks will be served in houseboat. Overnight stay in the Houseboat. 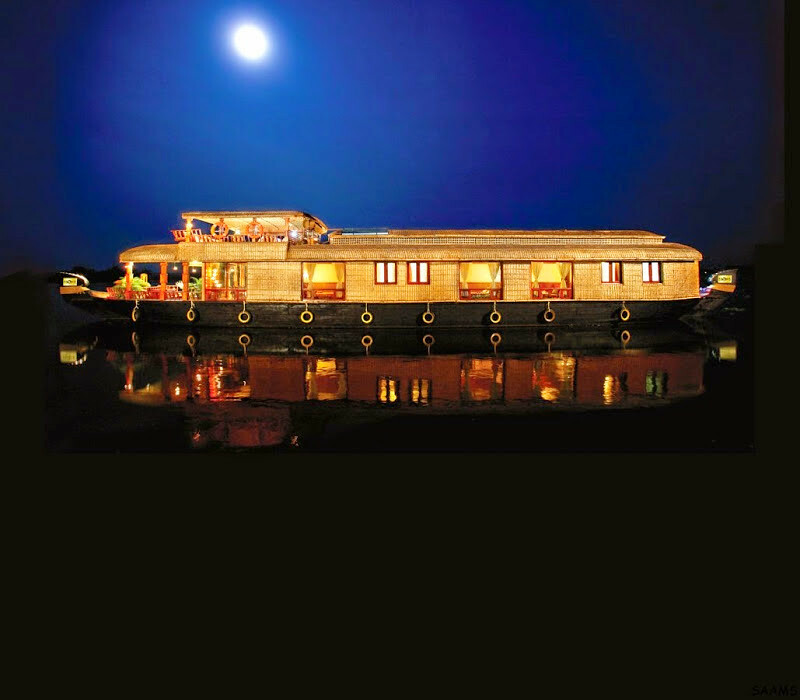 The Kettuvallam (House Boat) is a country boat that was used in the early days for the transport of goods from the isolated interior villages to the towns and coast. 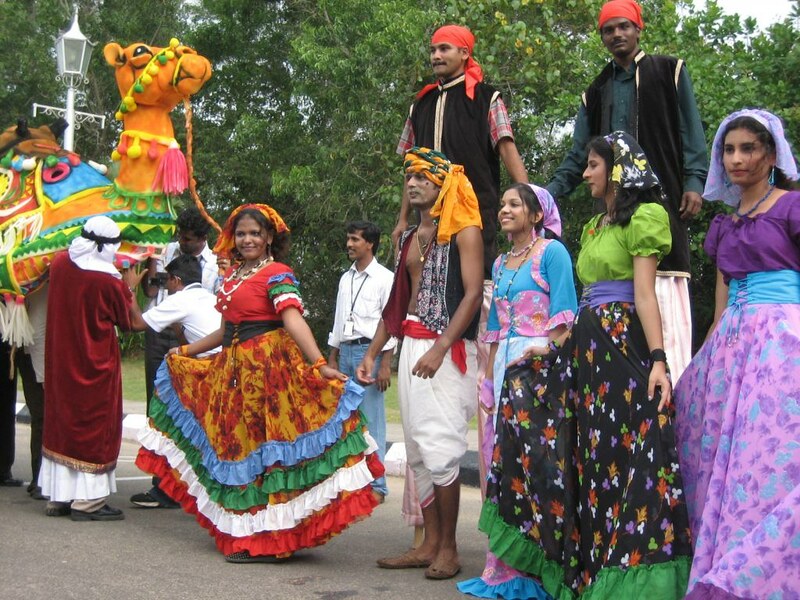 With the advent of roads, bridges and ferry services, gradually the Kettuvallam went off the scene. Now these Houseboats are back again as a major tourist attraction. 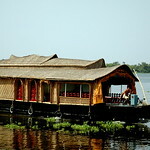 A ride on a Houseboat is a fabulous way to explore the fascinating beauty of the backwaters. 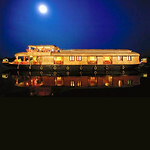 You can see more about the houseboats in our houseboat section and see details of the one night cruise we offer. You can choose to extend this if you want! After breakfast disembark at Kumarakom boat jetty. On arrival check in to the hotel. Evening have a wonderful walk through the Kumarakom Bird sanctuary which is a world renowned wetland water sanctuary. 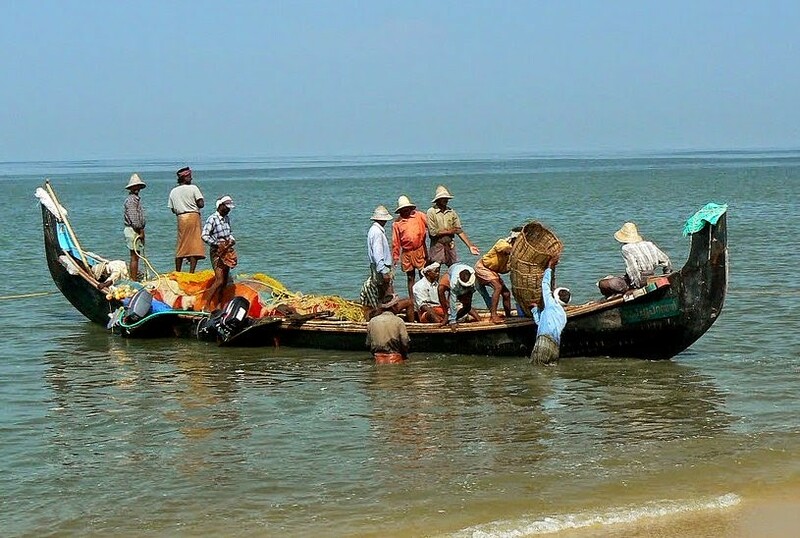 The village of Kumarakom is a cluster of little islands on the Vembanad Lake. 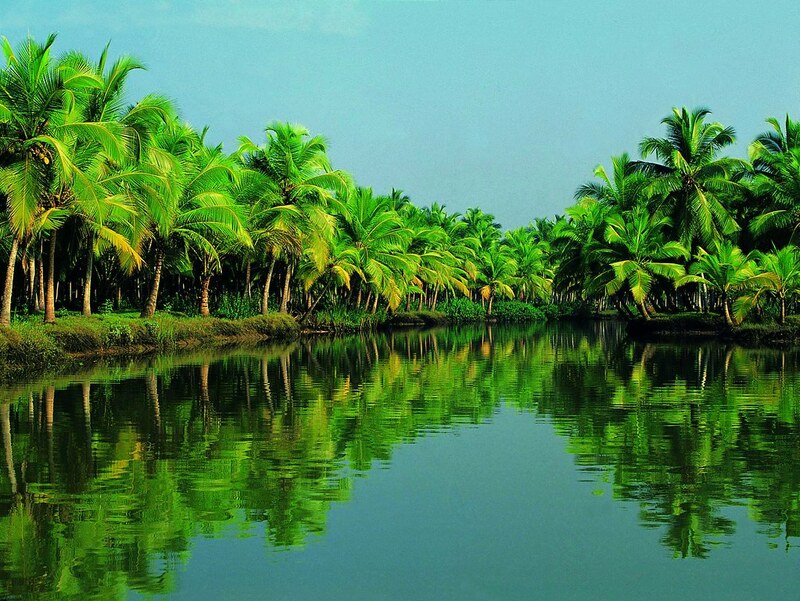 An unbelievably beautiful paradise of mangrove forests, emerald never ending green paddy fields and coconut groves interspersed with enchanting waterways and canals adorned with while lilies - this is Kumarakom. The bird sanctuary here, which is spread across 14 acres on the lake side, is a favorite haunt of migratory birds and an ornithologist's paradise. 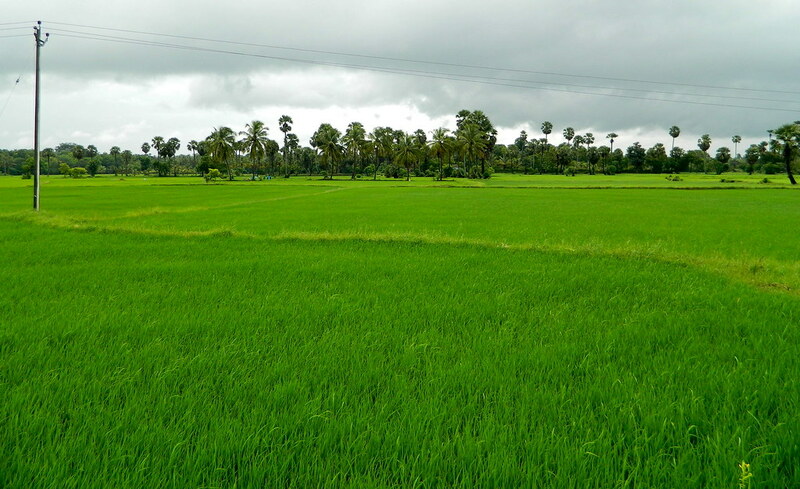 The most interesting area in the backwaters is the “Kuttanad Region” called the Rice bowl of Kerala. If you take a canoe for a ride through the small canals, you can stop in Aymanam which is the site for the novel The God of Small Things. Free at Kumarakom. 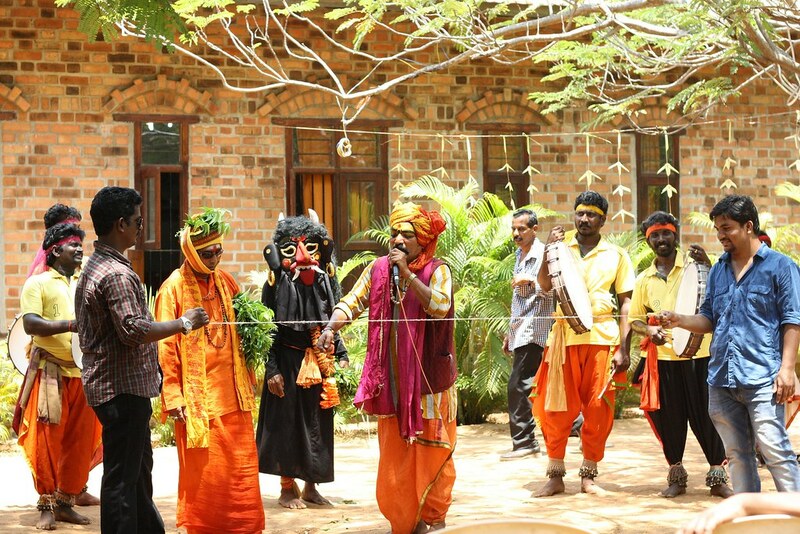 If you are interested in Kathakali and dont want to see it in the rather touristy Cochin theatre, then the temple at Tiruvalla which id dedicated to Sree Vallabha has regular all-night Kathakali performances. You don't have to stay all night. You could tuk-tuk there which is pretty good fun. After Breakfast drive to Thekkady/Periyar (140 kms, 4 hrs). On arrival check in to the hotel. Periyar is the site for South India's most important tiger sanctuary which runs for many miles south across the high hills and forest. You are unlikely to see tigers as they are cautious and shy animals who have grown understandably wary of human presence. We can arrange a tiger trek which visits the sanctuary and explores the wildlife. You probably wont want to encounter a tiger, but you will certainly be just as excited to discover tiger spore knowing that on quiet night recently a tiger has padded past this spot hunting. 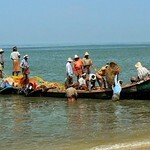 Visit Periyar Wildlife sanctuary, boating at Lake Periyar by common boat and later plantation tour. Elephant ride can be arranged on request in the season. Wildlife Sanctuary visit and boating at Lake Periyar. Plantation tour. Learn about spices, walk through garden with a guide. Very interesting information and buy the finest spices to take back home at low prices. After breakfast drive to Munnar ( 120 kms 3 hrs). 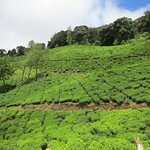 This wonderful drive through hills of cardamom, coffee, tea, pepper vines etc. On arrival check in to the hotel. Feel free to walk around the tea plantations post lunch. After Breakfast, drive to the Eravikulam National Park to see the endangered Nilgiri Tahr (Endemic goat-antelope). 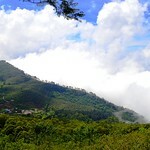 The high ranges here have a long history and fascinating tales, which the guide will provide with passion. 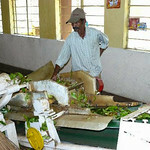 Later visit Tea Museum to see how the leaves are processed. 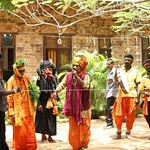 Visit the Handicraft center called ‘Srushti’ and buy gifts made by children with special needs. After Breakfast start drive to Madurai which is in Tamil Nadu state. On arrival check in to the hotel. 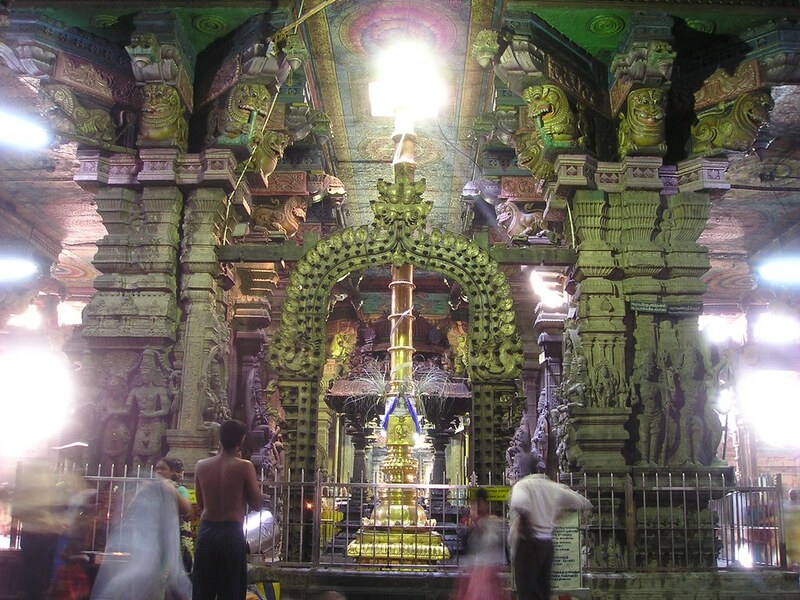 Evening witness the night ceremony at Shree Meenakshi Temple. 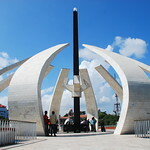 Full day Sightseeing of Temple Town, Madura. 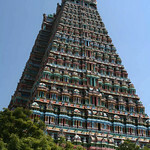 Visit Sree Meenakshi Temple and Museum. Overnight at the Heritage. Chennai may be the capital of Tamil Nadu, but according to many Madurai claims its soul: this is a city that is absolutely rooted in Tamil culture. 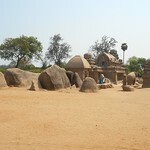 It is also one of the oldest cities in India with ancient documents recording its existence from the third century BC. It is remarkable to imagine this city located in the very centre of Tamil Nadu trading with ancient Rome all those years ago. 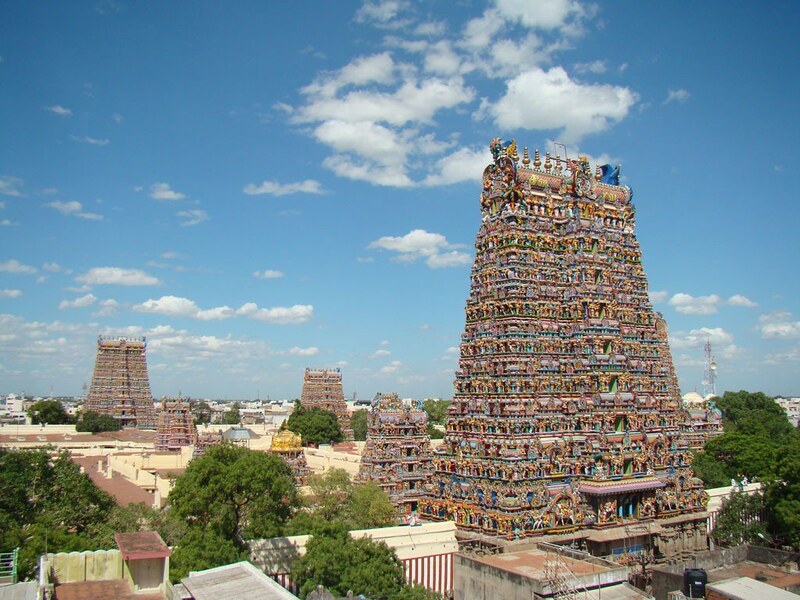 Madurai has always been a trading town, most especially in spices, but written into its history is the history of South India as this city has come under the sway of different kings and families. 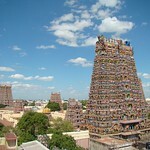 Today Madurai is India in miniature with ancient Temple traditions vying with modern IT culture. 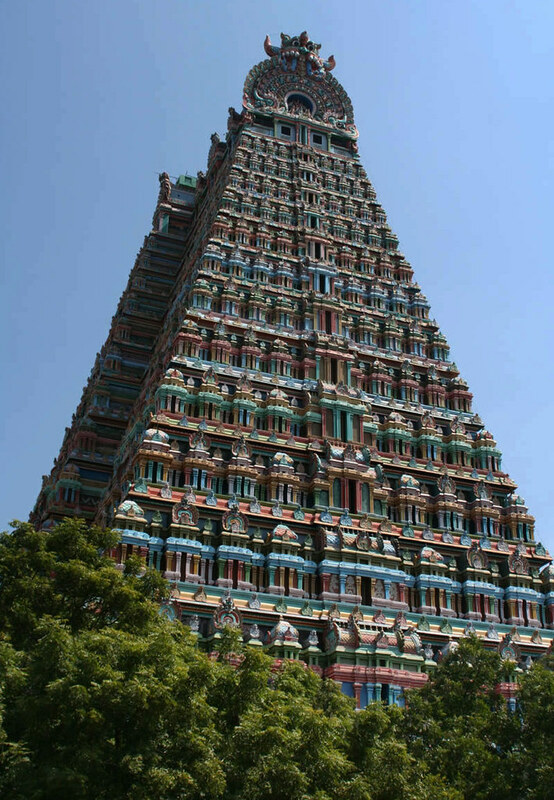 Visitors don't come to Madurai for IT, they come for the remarkable temples which probably represent the very height of South Indian temple architecture and whilst they may be less famous than, say, the Taj Mahal they are every bit as important to the cultural heritage of India. The temples are not like churches in Europe, they are whole complexes covering hectares that consist of many buildings which together represent the temple. 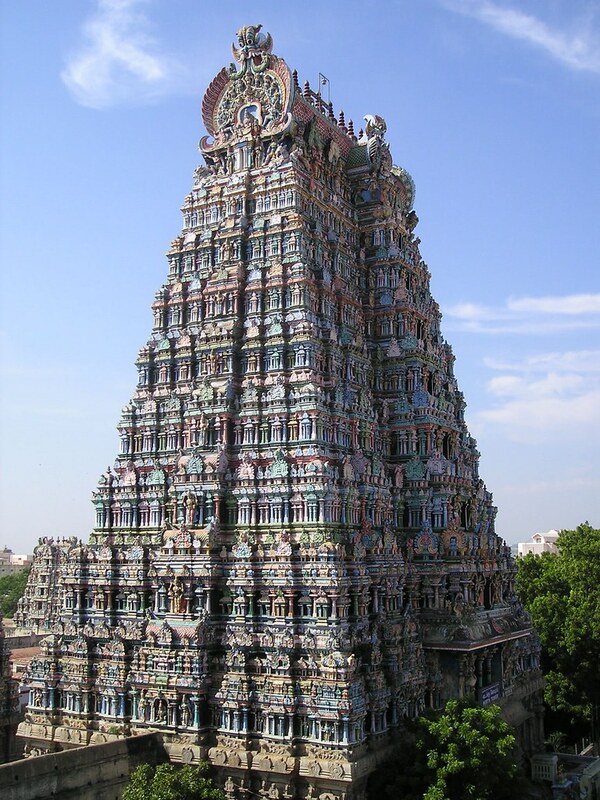 The Meenakshi Gopuram Temple covers over 6 hectares with 12 tall gopurams or towers. 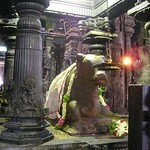 The present Temple dates back to the 17th century but the origins date back far further, perhaps as far as 2000 years. 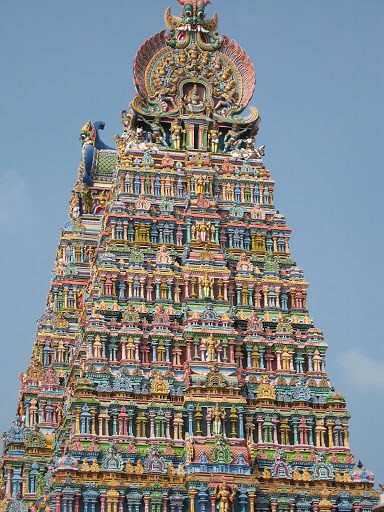 Situated on the banks of river Vaigai, famed for its many carved and painted halls, the magnificent temple of Goddess Meenakshi and Lord Sundaram (Shiva) has the tallest Gopuram (temple gateway) in the world. Designed in the 16th century the Temple Complex occupies an area of 6 hectares and has 12 towers of different sizes, a 1000 pillared hall. 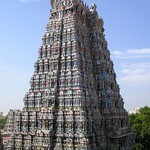 Madurai has a rich cultural heritage passed on from the great Tamil era more than 2500 years old. It was the capital city for the great Pandya kings. 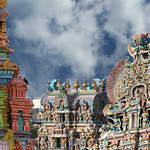 Your stay in Madurai will provide a marvellous contrast to Kerala and as you travel down from the mountains of the Western Ghats, you are not merely travelling geographically but also travelling across both time and culture and you will encounter ancient Tamil culture at its most riotous and sublime. After breakfast drive to Trichy (110 kms, 2 hrs). On arrival at Trichy check in to the hotel. Trichy is the geographic centre of Tamil Nadu and is a curious combination of throbbing bazaar sitting cheek by jowl with important temples. 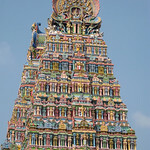 Like Madurai, this is an ancient city that can date its origins back to the third century BC and it was always an important capital city of this part of Tamil Nadu. 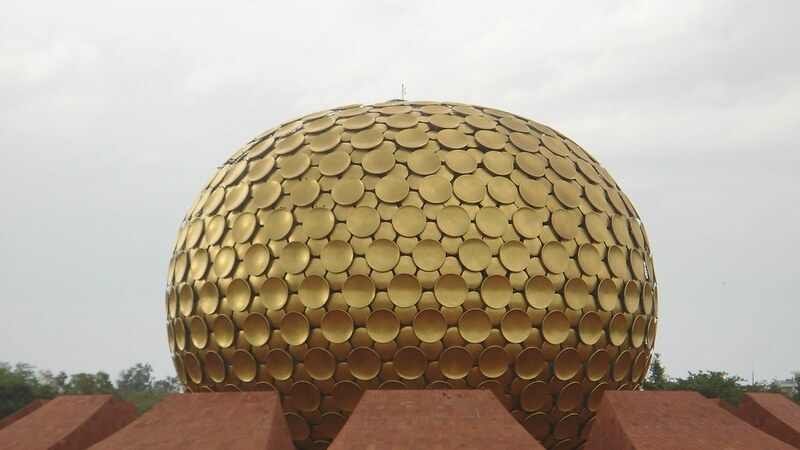 Trichy is curiously laid out with three distinct zones separated from each other by a few kilometres. 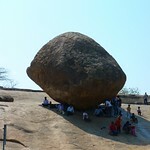 The most important and interesting site in trichy is the Rock Fort Temple and the main bazaar next to it. 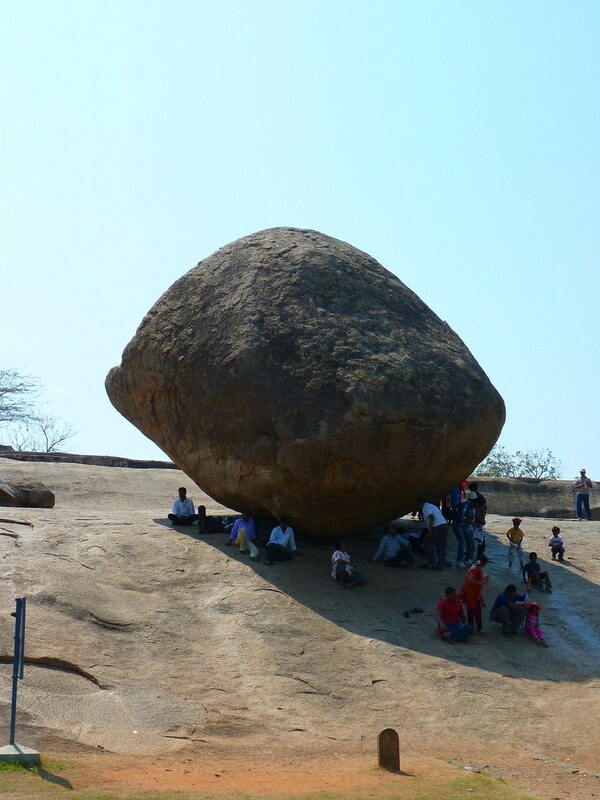 Full day sightseeing of Trichy including the Rock Temple, Sree Rangam etc. After Breakfast drive to Tanjore (80 kms, 2 hrs). 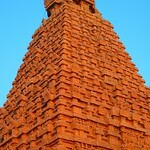 On arrival check in to the hotel and in the aftenoon do sightseeing of Tanjore. Visiting Brihdishwara Temple and Museum. 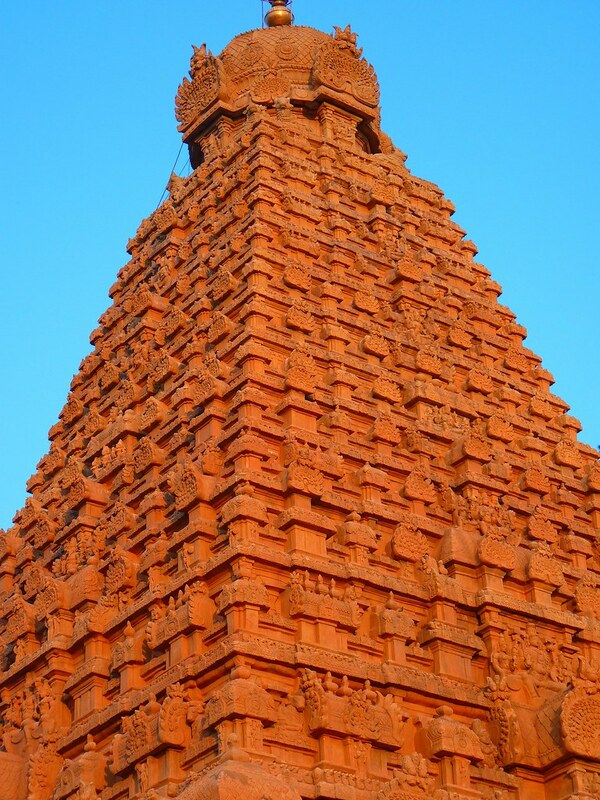 Here in Tanjore are the foundation blocks of perhaps the most remarkable civilisation of Dravidian history, one of the few kingdoms to expand Hinduism beyond India, a bedrock for aesthetic styles that spread from Madurai to the Mekong. 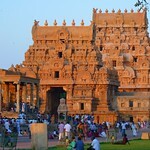 A dizzying historical legacy was forged from Thanjavur/Tanjore, capital of the great Chola Empire during its heyday, which is today a hectic, crowded, noisy, modern Indian town. However, the past is still very much present: every day thousands of people still worship at the Cholas’ grand Brihadishwara Temple, and Thanjavur’s labyrinthine royal palace preserves memories of other powerful dynasties from later centuries. 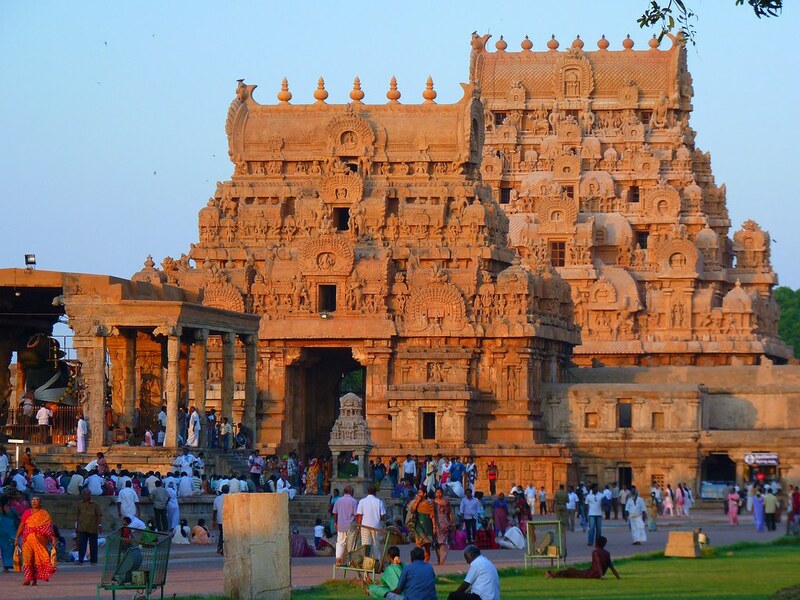 Brihadishwarah Temple is the crowning glory of Chola temple architecture. 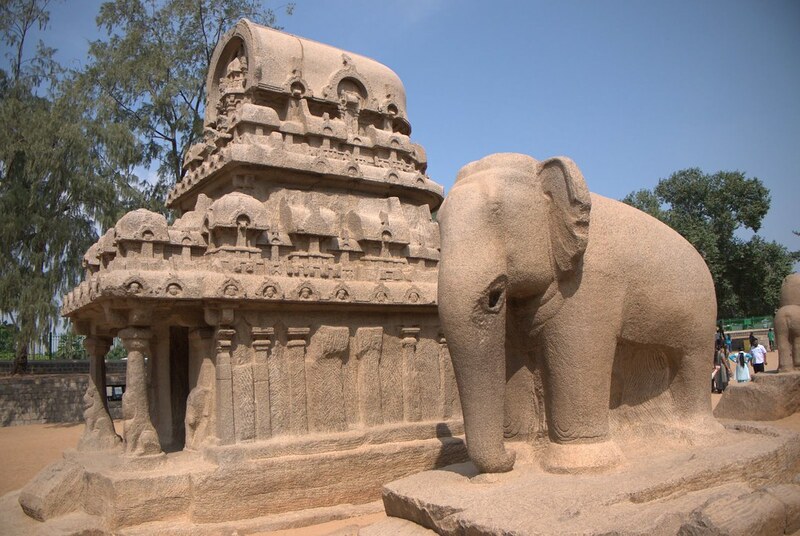 This superb and fascinating monument is one of only a handful in India with World Heritage listing and is worth a couple of visits. 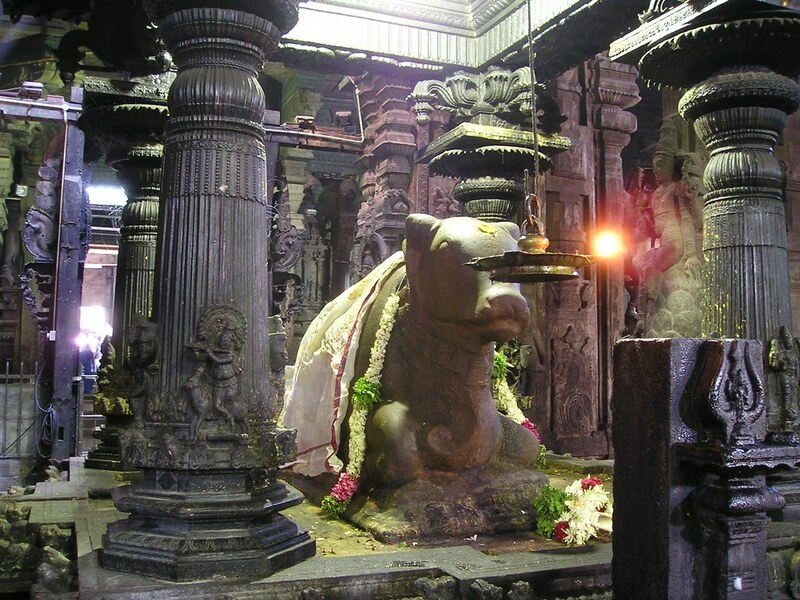 The temple set in spacious grounds, has several pillared shrines and 250 linga are enshrined along the outer walls. Inscriptions record the names of dancers, musicians and poets, a reminder of the significance of this area to the development of the arts. 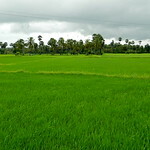 After Breakfast, drive to Pondicherry (195 kms 4 hrs). On arrival check in to the hotel. Afternoon sightseeing of Pondicherry. After breakfast local sightseeing of Pondicherry. 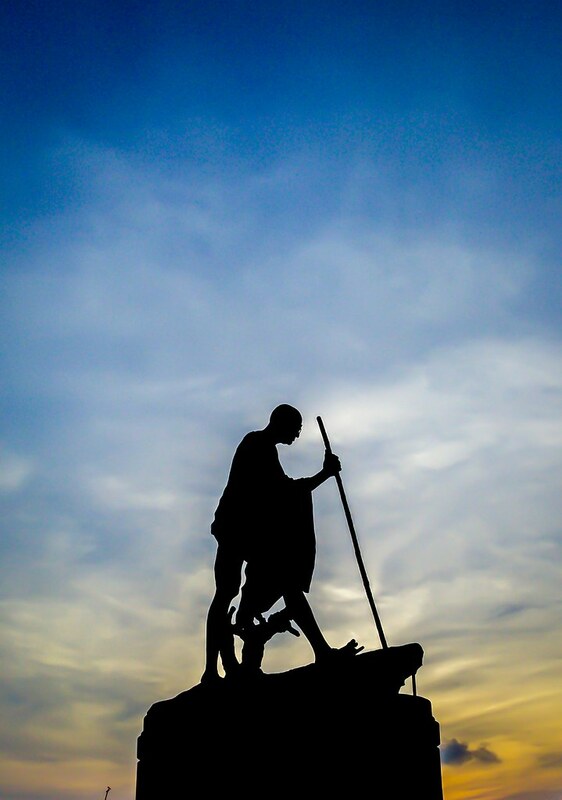 French dreams of an Indian Empire began and ended in Pondicherry. 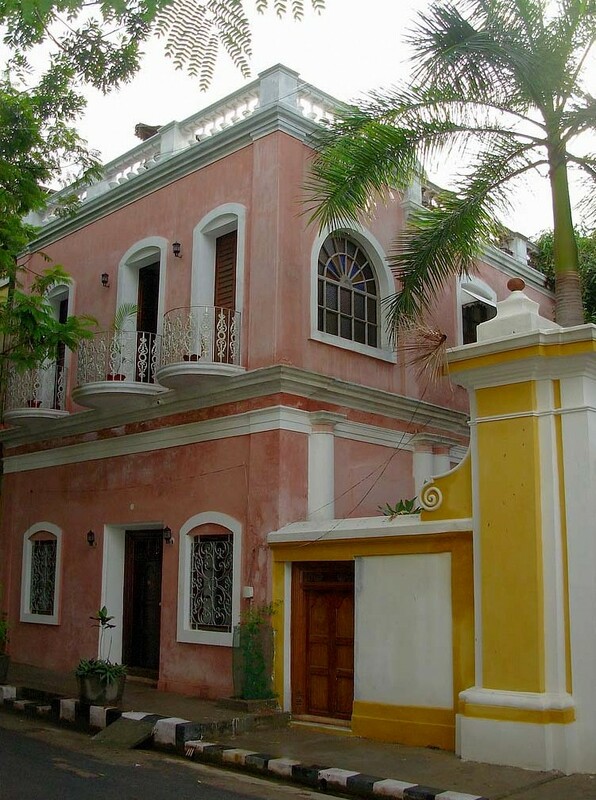 But in the scattered territories of the Union Territory of Pondicherry there remains what little there is left of the French influence in India and that makes the territory, especially its headquarters, Pondicherry, unique, something quite different from the rest of India. 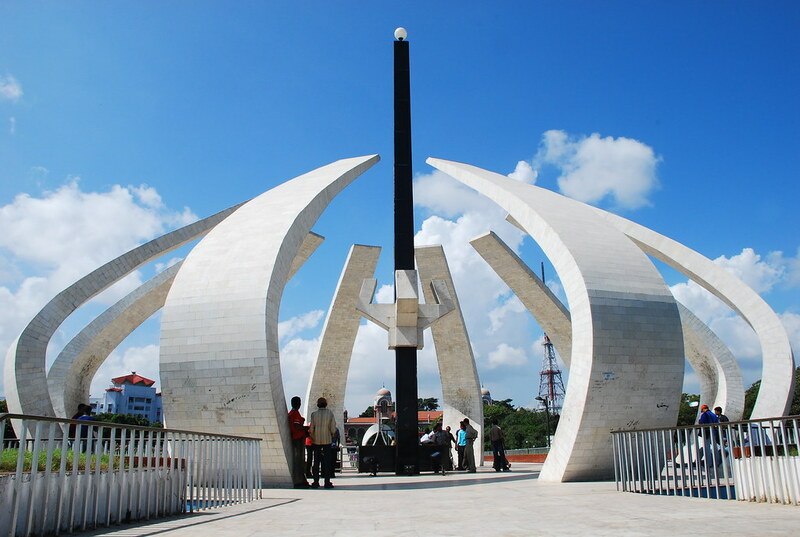 The Union Territory of Pondicherry comprises of 4 coastal regions viz.- Pondicherry, Karaikal, Mahe and Yanam . Pondicherry and Karaikal are situated on the East Coasts in Tamil Nadu, Yanam in Andra Pradesh and Mahe on the West Coast in Kerala. 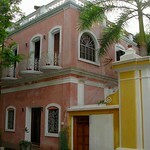 Pondicherry is the Capital of this Union Territory. 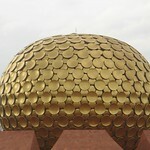 It is on the east coast about 162 kms south of Chennai ( Madras ) located on the Coromandel Coast of the Bay of Bengal. 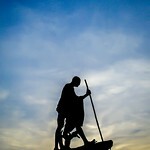 After Breakfast drive to Mahabalipuram (134 kms, 3 hrs) ON arrival checkin to the hotel. 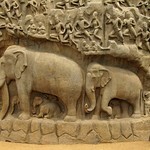 Evening sight seeing of Mahabalipuram with guide. After Breakfast start excursion to Kanchipuram with local guide. 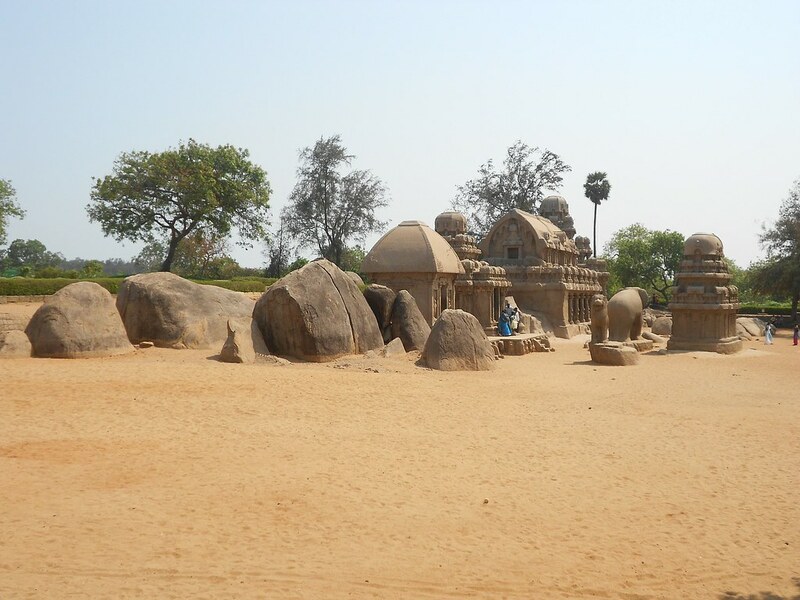 After visiting weaving places and temples reach back to Mahabalipuram. Overnight at Ideal Beach Resort. 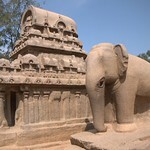 Kanchipuram known as the Golden City of a Thousand Temples, is one of the oldest towns in India. 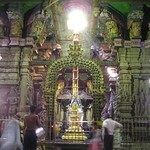 It is famous for both its temples, many of them remarkably well preserved and for its hand-woven silks. 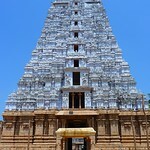 Kanchipuram is one of the seven sacred cities of India and it is the only one associated with both Shiva and Vishnu. 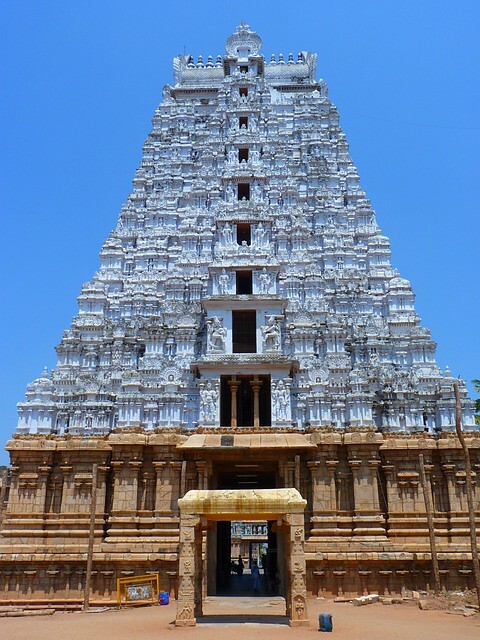 Visit Ekambareshwar Temple, Kailashnath Temple, Kamakshi Temple, the Vaikunthaperumal Temple, all built in the 7th and 8th centuries. With a weaving tradition dating back to the Pallava era (when silk was the royal cloth), Kanchipuram is justly famous for its particularly fine silk saris, embellished with stunning patterns. Visit the local homes of the weavers and watch them create magic out of silk thread into saris. 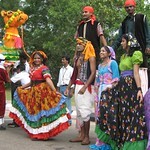 However, the designs on the Saree itself are what brings it the fame. Simply, the Kanchipuram Saree is a fine piece of art. After breakfast drive to Chennai (75kms, 1.5 hrs). After noon local sightseeing of Chennai. Departure transfer to Chennai Airport to board the Flight. Please Note that Accommodation may change depending on room availability. The rates we are displaying do not include transport which varies according to the number in the group and the preferred car option. 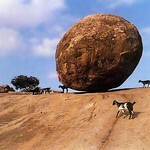 We can/will quote for tours with transport included when we have agreed a route with you. 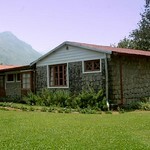 Our accommodation is specified as deluxe style, but we can easily change this for others, easy peasy. Scottish Plantation Style meets beautiful views! 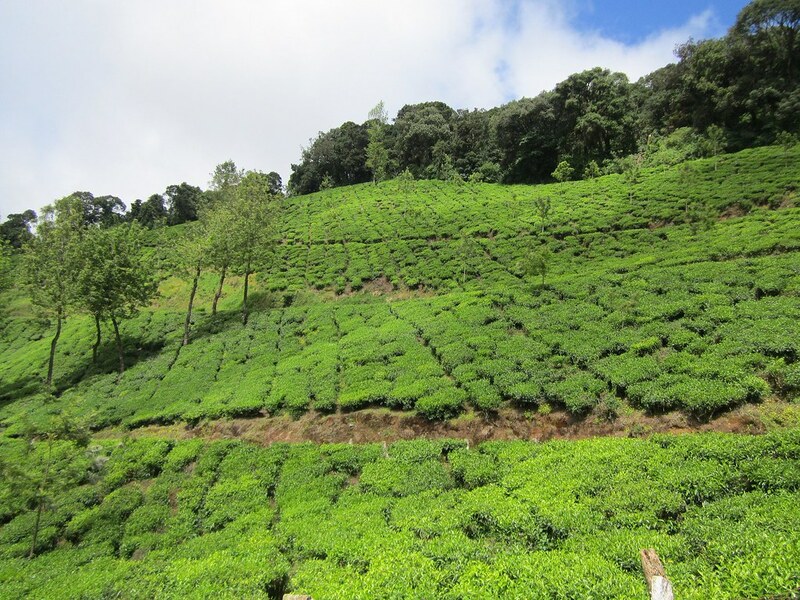 Windermere Estate is a working estate combined with boutique style hotel in a woinderful location in the middle of 60 acres of cardamon and tea plantations which is a real treat to your senses.